2. Minutes of the 3rd October. Leatherhead town centre will be taken over by creepy crawlies, stilt walking devils and gargoyles on Monday 31 October when the town once again hosts an afternoon of fun and games for your little ones from 3.30pm to 6.00pm. Be terrorised (only slightly) by Animazing’s real life creepy crawlies, including snakes, spiders and cockroaches. Be wowed by the stilt walking devils that will tower above the crowds and be mesmerised by the Whizzers; strange sprite-like characters that will glide through the streets. Also, look out for the two gargoyles in the town centre. Are you feeling lucky? Find the key to the locked treasure chest and you could be in for a treat! But be warned, if you’re unlucky you will be in for a trick. Are you brave enough to find the magic stone in amongst the body parts? How about guessing the name of our real tarantula or testing your aim at skull hoopla? If this isn’t enough, enter the Witch Word Competition and you could be in with the chance of winning a £15 gift voucher. Students of Therfield School will perform Halloween Hits such as the Monster Mash and the Harry Potter theme tune, while local dance group Poptastic will perform Michael Jackson’s Thriller. 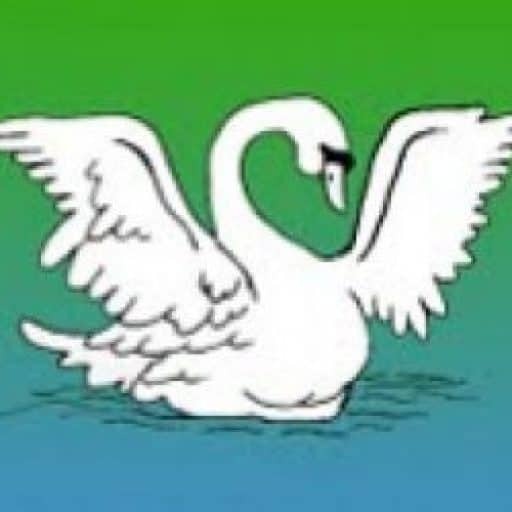 A fancy dress competition for all ages will take place at 4.30pm in the Swan Centre, with prizes for the best costume. There will be a small charge for some of the competitions and games. For the safety of residents, the barrier to the High Street will remain closed until 6.30pm. I understand that following the Consultation Weekend in July, Longshot Country Club Ltd is holding another presentation on Friday 14th October & Saturday 15th October at Cherkley Court from 10.00 am till 1.30 pm. You are not expected to be there for 3½ hours. If you want to know the latest for Longshot’s plans for the house and gardens, do look in. As many of you may know the London Organising Committee for the Olympic Games (LOCOG) have tight control over how the Games will look – including use of the Olympic logo, advertising along or close to the route and also how the route is dressed. Mole Valley District Council together with Surrey County Council and LOCOG are already thinking about this last aspect and have received printed guidance from LOCOG on the issue of route dressing. In it, there is guidance and ideas on planting for next year – how to get the right colours and which plants will do that so that any planting along the route is in line with the Olympic colours. As it is the time of year when many gardeners are making plans for next year, it seems appropriate to forward this guidance now. Naturally it is most relevant to those of you who are on or near the Olympic Road Race route but I hope you will bear with me on this mass email. I hope that this guidance is useful. It contains ideas on the relevant plants that will bring the right colours to your displays but they are not prescriptive and you may choose to use different plants. I would be most grateful if you could forward this on to any relevant clubs or associations that you may know of too. For the first time, a spectacular, fun-packed world-class circus for all the family, the likes of which can only be seen by audiences in major cities – is coming to Leatherhead – for three days only! The Big Top will be at Leatherhead Leisure Centre from Tuesday 25th October until Thursday 27th October 2011. Featuring a galaxy of international circus stars from China, Mongolia, Kyrgyzstan, Bulgaria, Romania and France, Circus Of The Orient, has been specifically designed to visit towns and locations normally considered beyond the reach of circuses of an international standard. Yet its creators, Carol and Phillip Gandey say there will be no compromise in the size or quality of its world-class performance. 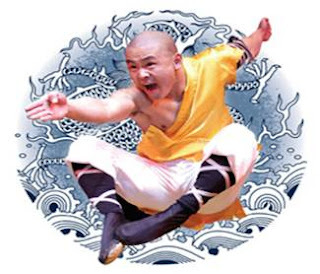 Leatherhead audiences can witness the amazing world famous Shaolin Wu Shu Warriors appearing by kind permission of the Abbott of the Shaolin Temple and the Chinese Ministry Of Culture. Blink and you could miss it, such are the lightening reactions of the greatest exponents of martial arts, they stretch the limits of human achievement in this dazzling new production where east meets west. Other world class artist’s include the sensational springboard acrobatics from the amazing ‘Julio Troupe’, combined with supreme aerialists, ‘Trio Serik’, who will be on hanging straps high in the roof of the Big Top. The beautiful ‘Monalisa’ will provide an element of grace with her aerial showcase. Encounter the unbelievable somersaults performed on Chinese poles and watch artists dice with death on the cloud swing trapeze, all whilst the spectacular Big Top is echoing with laughter from the antics of our crazy clowns ‘Duo Delbosq’. This is your opportunity to receive an exclusive Buy One Adult Ticket And A Child Goes Free*. You can either call 0871 705 5507 (10ppm BT) and quote “Leatherhead KF” OR print this email and take to our Box Office on site at Leatherhead Leisure Centre, KT22 9BL, to book your tickets. Our Box Office is open from Tuesday 25th October times of 12pm to 8pm. · Wednesday 26th October show times of 2pm and 4.30pm.